Explanation: A Full Moon rising can be a dramatic celestial sight, and Full Moons can have many names. 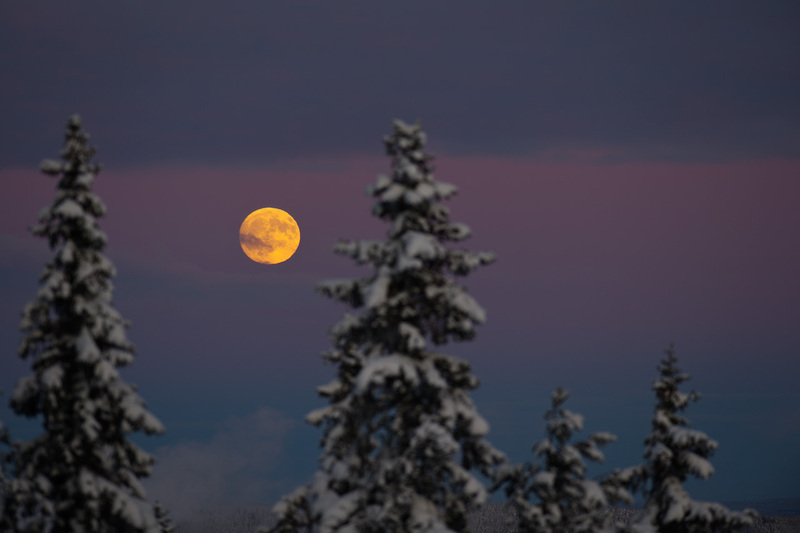 Captured on January 8 from Östersund, Sweden, this evocative moonrise portrait might make you feel the cold of winter in the north. If you can also imagine wolves howling in the distance then you probably understand why Native Americans would have called it the Wolf Moon, their traditional name for the first Full Moon in January. The photographer reports that no wolves were heard though, as he watched this beautiful Full Moon rise in fading light over the eastern horizon, echoing the yellow color of the setting Sun. Of course, due this year on February 7, the next Full Moon will be the Snow Moon.